HBO’s upcoming mini-series Big Little Lies has a lot to recommend it: Oscar-winning lead actresses, rich people by the beach, murder. 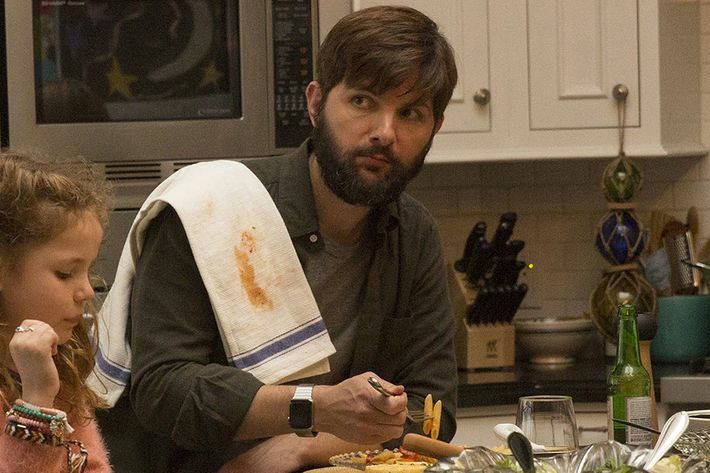 But the stealth star of the show might be Adam Scott’s beard, which is of such mammoth proportions you’re not sure why Reese Witherspoon’s character, Scott’s wife, doesn’t take hedge trimmers to it in the middle of the scene. As he told Seth Meyers, Scott insisted that his character should have a beard, and also wear fleece vests, because that’s what NorCal dads do. In order to be fully method, Scott also started using a standing desk, listening to NPR, and planning to build a microbrewery in his garage. Let’s take long look at that beard.